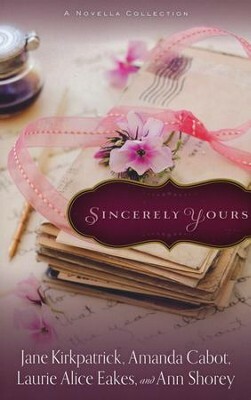 Four young women find their lives altered after each receives a letter that sets her on a path toward a changed life---and perhaps lifelong love! From a Hudson River steamboat and a lush drawing room to a carousel carver's workshop and a remote controversial hospital, this collection features historical novellas from four of your favorite storytellers. 384 pages, softcover from Revell. 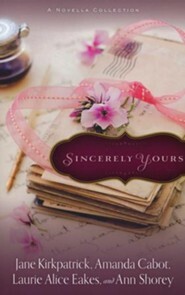 In this collection of brand-new historical novellas from four outstanding storytellers, four young women find their lives altered after each receives a letter that sets her on a new path toward a changed life--and perhaps lifelong love. From a Hudson River steamboat to a lush drawing room, from a carousel carver's workshop to a remote and controversial hospital, readers will love being swept into the lives of four young women who are making their way in the world and finding love where they least expect it. 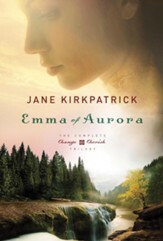 Jane Kirkpatrick is the award-winning author of many novels, including A Flickering Light. She is a frequent speaker at conferences and lives in Oregon. 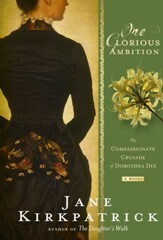 Visit www.jkbooks.com for more. Amanda Cabot is the bestselling author of the Texas Dreams series, the Westward Winds series, and Christmas Roses. She lives in Wyoming. Visit www.amandacabot.com for more. Laurie Alice Eakes is the author of The Midwives series and The Daughters of Bainbridge House series. Laurie Alice writes full-time from her home in Texas, where she lives with her husband. 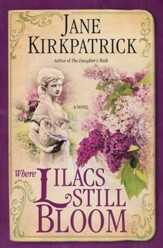 Visit www.lauriealiceeakes.com for more. 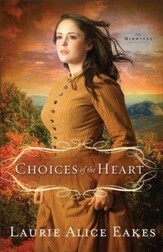 Ann Shorey is the author of the At Home in Beldon Grove series and the Sisters at Heart series. Ann and her husband make their home in southwestern Oregon. Visit www.annshorey.com for more. Q: WHAT ARE THE "4" TITLES AND CORRESPONDING AUTHORS FOR THIS BOOK? WHAT ARE THE 4 TITLES IN THIS BOOK? 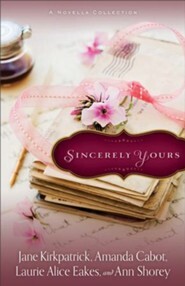 I'm the author/artist and I want to review Sincerely Yours, 4 Volumes in 1.